Thanks for the great service, ordered 13:29 on the 9th, delivered at 16:00 on the 10th and fitted by 17:00 same day. Couldn't be better. Just a quick Email to say thanks for the great service provided by yourselves especially Rod Jolley and Andy Bottle. Thanks a lot for helping with that part for Johns Motorhome you are a credit to the company. Fantastic service. Take care Julie and thanks again...you are a star. Thank you very much for the prompt arrival of my thule van door locks. I have today received the replacement lights. Thank you for superb service. Thanks for taking the time with us on Sunday and unusually my wife commented on your professionalism , which is unlike her when it comes to sales men. Sending this from my phone so please excuse the garbled content. Just a short note to thank all concerned for your efforts and professionalism with the purchase and exchange of the Carthago and Concorde. Please thank Ben and his team with special consideration to Trudy who was fantastic in both the negotiations and hand over. I am writing this from a campsite in the middle of France on our way to our villa in Spain. All is working well with the vehicle although we have found the Media system challenging on the navigation side, but getting there! Just thought I should drop you a line to thank you for your quick and efficient service as all the parts arrived with me this morning. I wasn't expecting them until next week, so that's a really quick delivery. Thank you very much for you excellent service, taking care of everything and making sure I got the right parts in the end. I hope I won't make any more mistakes on the road with my Rimor, but should things happen, it's good to know who to contact for new parts. I must thank your staff for the service I received this morning, I only required a small service part but the young man assisted me in my problem diagnosis. I am new to motor homing but am not short of funds and to dip my toe on the water I purchases dam appropriate van , but should I upgrade I will be alone to yourselves for a price. Just a few words to thank you and your staff for all the help and attention I received to help me out with a few problems in the first few weeks of ownership. We have had three weeks holiday over the last 12 months. With no faults, an excellent motorhome. I hope you are well, so sorry for the delay in sending this! Thank you so very much for selling our van so quickly! That was amazing of you. 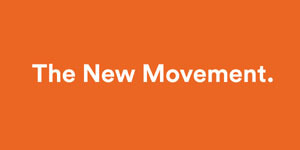 We are really very grateful, much as we miss it we have to move on and you have now enabled us to do that. I am sorry we won't be coming down any more, but wish you all the very best, I am just emailing someone to recommend Southdowns! Thanks once again parts arrived safely. Thanks for that - managed to get hold of one and light and bulb now fitted. 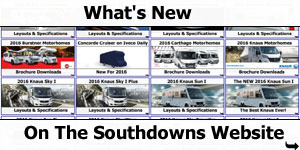 If I might say Southdowns service has put the 2 other �Burstner dealers� I contacted to shame. I can report that the steps on my van are working again. The fitting was not as straightforward as it seemed so to add to your techie knowledge, should anyone else come across the same fault, the bracket that came with the spares was a different 'hand' than mine - probably for a 'right hand side of steps' operating mechanism. However, the old bracket was fine. Also the slotted steel spacer on my motor drive spindle was too long to fit the new gearbox and I had to use the black plastic one that came with the spares - not really a problem, but getting the steel one off the motor spindle was really difficult. Thank you so much for your exemplary care this morning, we arrived at 8am for habitation check etc and advised needed only damp test because the recommendation is every two years for habitation, fridge catch to fix and headlights to replace, headlights not arrived but you have re-ordered for us without fuss and bother, we cannot streets enough how much we appreciated this, also our levelling blocks changed for sturdier ones after ours broke in half. What a service and as we are almost two hours away in Hemel Hempstead it is so much appreciated. I have only just recently returned to the UK after travelling 15,000 KM this year all over Europe, The new Burstner Ixeo IT 740 that Trudy supplied to us in April this year has, apart from a small list of snags to be rectified on the first service that I now intent to book in with Andy to get done, has been most enjoyable. I had intended to pay tribute to Trudy in sales sooner but as they say better late than never. Dealing with Trudy was to say the least a pleasure and her dedicated service was nothing short of amazing, this was further demonstrated by her returning from a long flight the same say to do the personal handover to us, this in my opinion was over and above the call of duty and greatly appreciated by my wife and I. The other member of your staff well worth a mention was Andy in the service dept, helpful friendly and customer service led professional and a pleasure to deal with. When I bring the Camper in for its first service I hope to personally thanks to Trudy and Andy for the outstanding service. Thanks for all your help yesterday and making the experience of spending so much money quite pleasant. We arrived home safely after a pleasant motorway drive and we are both very pleased with our purchase and look forward to many memorable trips. Having completed our first 1500 mile trip to France I thought I would give you have some feedback on our impressions of the Knaus. Simply put, it meets our expectations in all respects. It is easy and pleasant to drive. It cruises at 70mph effortlessly and care is needed otherwise the speed will creep up to 80mph without cruise control on. Perfect for long distance touring. We achieved 400 miles a day without effort. Fuel consumption initially was 22.9 mpg however as the engine loosened, doubtful, or my driving improved, likely, we achieved 26.4 mpg average for the next two fill ups resulting in an average for the whole trip of 24.5 mpg. Very satisfactory. It is very warm and the beds are indeed very comfortable. A good nights sleep was enjoyed by us both every night. Excellent! Maureen found the fridge / freezer to be first rate. 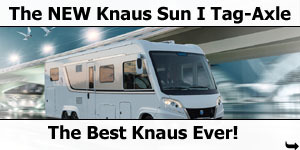 We could not be more happier really with the Knaus. We are more than pleased with our purchase. We purchased our Carthago Opus from you last year on the 1st of August 2012. 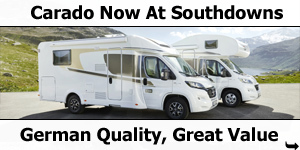 Having now owned the motorhome for over one year, we thought we would take this opportunity to let you, and also future customers, know of our experience of dealing with Southdowns. Carthago: We absolutely love the Carthago. We can't fault it whatsoever. It has turned out to be everything we hoped for and more. The quality and build is excellent. 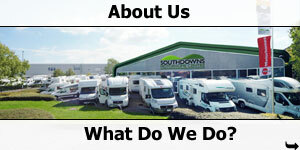 Southdowns: On purchasing the motorhome, we first dealt Andrew Wallis who we found to be very helpful and professional. On handover day we dealt with Rod Freeman (as Andrew was away on his holiday ) Rod did a very thorough handover and also immediately had rectified just a couple of small issues which came to light. This thankfully enabled us to take the motorhome home that day. Since then we have just had the odd problem occur. A big "thank you" here goes to Ryan Vevers and Andy Bottle. These guys quickly, without hesitation, sorted these problems out to our complete satisfaction. 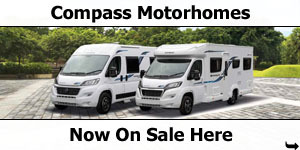 What more can we say but that you have been a pleasure to do business with from start to finish and we won't hesitate to recommend you to the motorhoming community. When we decide to change our Carthago in the future we will return! Many thanks for the prompt dispatch which arrived 0900 hrs this morning!! How on earth did you manage that sort of turn around?? Thank you SO much for looking after us so well yesterday. You will be pleased to know that everything is great so far. We are very happy. Hope you have a great (and drier!) day. I recently required a replacement joint. We needed it quite urgently as we were going on holiday. The parcel is still somewhere with Royal Mail. However your excellent employee Shaun persisted on our behalf to find a joint, it arrived this morning, we are very pleased to be able too use our awning. We just wish you to know how much we owe to an excellent company employee, we would have pleasure to recommend yourselves to anyone. Hello I just wanted to thank you for your excellent service that I've had from yourselves. I recently purchased a second hand Fiamma wind out awning and when it was fitted to my campervan I found it wouldn't wind in properly. I then found the problem to be the legs because one of the retainers was broken. I contacted fiamma direct but as I don't know anything about the parts I was unsuccessful. I found your company online I must say I was delighted with the email I received back simple diagrams on it made ordering the part I needed simple and a great price. It arrived very quickly by a lovely delivery man and I've just fitted it myself and now my awning is as good as new. Thank you for prompt delivery of Truma power selector switch, Much appreciated. Just a short note to thank you for all your help sorting things out with the motorhome. 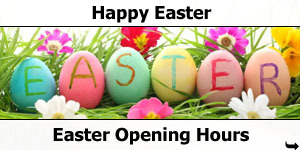 We look forward to spending many happy holidays in our lovely motorhome. Having recently taken delivery of our new Burstner Aviano, I thought I would let you know how pleased we are!! Probably tempting fate a little, as we haven't even slept in it yet. We have been busy trying to complete the garages, one of which is for the camper. Really I wanted to thank you for taking the time to come to Broadway to value the Carthago and to say how impressed we have been with Trudy. We initially 'phoned other dealers, when we were thinking of swapping the motorhome, but none appeared to be as helpful or as efficient as Trudy. As you know only too well, one of the most annoying aspects of trying to buy something, is when people just can't be bothered to come back to you when they say they will. Trudy always has, even when the information isn't to hand or she has been busy with other customers, we have received a call at the end of the day letting us know she hasn't forgotten. It makes such a difference. So once again from Margaret and myself many thanks. Many thanks for all the hard work you put in re my motorhome spares, they arrived safely and my wife and I fitted them, then shot off for a break so my thanks are delayed. 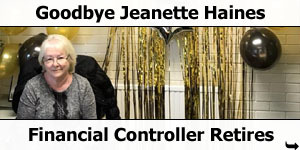 Many thanks once again Julie for all your hard work. We would like to thank you all for the attention and kindness shown towards us, when we purchased our Concorde Charisma. This was a difficult time for us as our previous purchase from another dealership was fraught with problems resulting in the van being returned. We can't thank Trudy enough for her nursing us through the purchase and on the handover she was nothing but professional and caring, making sure we were happy with everything. Even now if we phone, she is only to pleased to guide us in the right direction. Special thanks to Andy and Carl and all involved. We will be recommending you to all we know. I just wanted to let you know how grateful I am to Andy for his immediate help on the phone on Tuesday afternoon when I spoke to him. I received delivery of the attached order yesterday. Thank you for the swift delivery! Hello Mark, We've received the window blind part we required off you this morning and it's the correct part we needed. We'd just like to Thank you so much for all your help in obtaining the parts (including the clock) It really is a pleasure to do business with a dealer who looks after their customers so well. I was stunned to find that my order was sitting in my post box when I returned from shopping early this afternoon. Typical of Southdowns service, but still amazing. I recently bought a camper van from yourselves, I guess on the South Downs scale of things a bargain basement banger, however to me it is perfect and everything I had hoped it would be, it was the Autotrail Tracker. I arrived at 9am on the day of collection to pick the vehicle up, there was a delay . . . . . . . . you delayed me long enough for me to realise how motivated, how courteous, how thoughtful and helpful the staff were and I'm not just talking sales staff here, I was impressed with the attention to detail and I appreciate the honesty. The sales staff are obviously not from the used car sector! 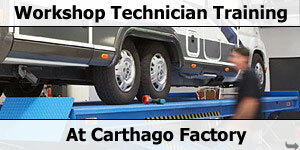 I appreciate also the preparation of the vehicle and the work done for the MOT. All very good value and a pleasure to do business with yourselves. Just to let you know the power socket has arrived safely. Please pass on my thanks for the help I received. Hope things went well in Birmingham. Andy did a great job fixing everything on the motorhome. 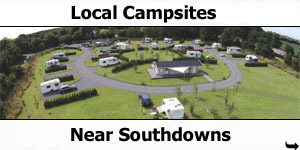 Will certainly recommend Southdowns to any of our customers who are thinking of changing to a motorhome. We hope Southdowns had a good week at the NEC. We certainly had a busy week with the motorhome at your premises for three days, but it was well worth it as it would appear all of our problems have been solved - the actual proof will be when we next use it in December but the signs are good..
Our thanks to you for a job well done and to all on the service side of the business who went the extra bit to make sure we were well satisfied. You all deserve to do well. I phoned up today and spoke to Ryan about the problem I was having with my hot water heater on the Burstner Ixeo IT664 that my wife and I bought of you December 2010. After yesterday's handover for our Burstner I can't than you enough for the professional way we were treated, we had a bad experience with our last motorhome but this time was exceptional and the amount of information given was amazing, now we have to learn a little more than we already knew. Parts received yesterday. Thanks very much for the excellent service I have received from You and your Team. 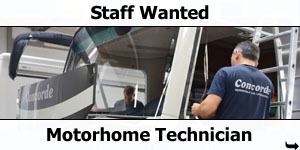 I would like to thank you for your outstanding service and incredible knowledge of Laika motorhomes. 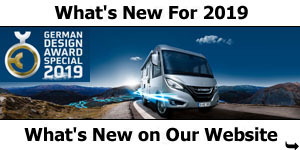 Prior to purchasing the motorhome this year I was concerned about availability of spare parts due to the age of the van, You have patiently researched and dispatched everything with super efficiency. The light and buttons arrived yesterday and like the switch were exactly right. Please pass on my thanks to your managers, as spare parts are such a key factor for all vehicles this is so important. When the van needs to be replaced I will definitely be contacting Southdowns as a result of your service levels. Many thanks for great service, much appreciated. Absolutely delighted with order which I received approximately 26hrs after placing with you! I ordered them on behalf of a neighbour who didn't have an e-mail address and wasn't very good with internet access. Saying this, I was still delighted by the ease of ordering and speed/quality of service. We are currently looking to purchase this type of awning for ourselves and will most certainly look to use your company's services again in the future. Firstly, thank you so much for the superb service you have given us in the purchase of our Burstner Aviano. Your attention to us was absolutely first class and the motorhome is fantastic. I am just writing to thank you and your colleges for the fantastic service of the purchase of our motorhome and the after sales and to let you know everything arrived and we are very grateful for the service we received. Many many thanks and best wishes from us both. Just a quick note to thank you both for your help in identifying the spare parts we needed for our awning. I Know you went to a lot of trouble. They arrived safely yesterday and we will fit them this week, so the van will be looking much tidier! I wish you were our local agents rather than being 400 miles away. Once again I would like to thank you for all the hard work you put in on the day that we purchased the vehicle and we are more then happy with the service that you and your colleagues has given us especially with the after sales service (Brilliant). Just to say my order which I placed yesterday arrived this morning. This is amazing service and I would like to thank everyone involved for such outstanding customer service. Thank you for the excellent service I received from Julie Topley when I ordered Rimor parts. What a pity you are so far away for servicing etc. Good to talk to you earlier. Again, can I say how much Rosemary and I recognise the extent to which you personally and your troops have worked to ensure we are happy with our purchase,. Your guys clearly have a pride in their work which is truly exemplary. We are excited and look forward to taking delivery of the Van on Sunday. Just received the door key in France today, and it fits perfectly. Than you for all your help. Excellent service, and would not hesitate to use you again in the future. Once again Jill and I want to thank you for your attentiveness and good nature towards us and our requirements. You are a credit to Southdowns. I would just like to say how much i appreciate the service and helpfulness provided by Mark Derbyshire in the online store dep't, and hope this will be passed on to whomever is in charge as his service, patience, and knowledge is second to none. I noticed that you are from Portsmouth which is a nice town that I know. I�ve been there twice. It was a pleasure to meet you again yesterday and thank you for your hospitality, the information from Ben & Andy was very helpful. 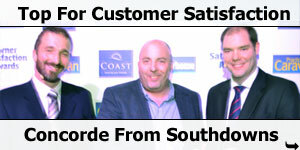 You have a great team of people around you at Southdowns, which means so much to us as a prospective customer. Dave & just wanted to drop you an email thanking you for the truly excellent service provided by both yourself and the team at Southdowns Motor Homes. We were both impressed by the speed and accuracy of the deal, which made buying our new motor home all the more pleasurable. It is so satisfying but rare to receive such good support and service from a company these days. Just a note to say "thank you" for sending so promptly, the relay for my Concorde airhorns. Everything working fine - once again a fantastic service. 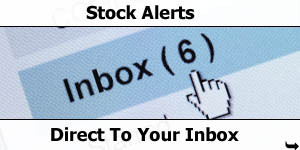 Thank you for your prompt attention and we will certainly look into a visit to Prague area in the near future. 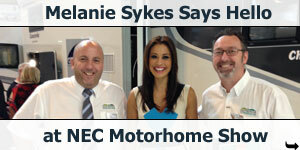 We enjoyed your visit yesterday and are so pleased we bought the motor home from Southdowns. We received the tape. Can I thank you for your help and assistance with this matter. The problem was the due to a factory error, and you have supported us to achieve an acceptable resolution to the problem. We thank you for your perseverance and tenacity. Just a quick email to thank you for your outstanding service. The H/P S/S hose arrived yesterday and was fitted and working within minutes-- marvellous! Nice to be able to pass on a compliment for a good service and product. I'll pass your details on to all my m/home friends. Just to let you know, I received the hinges on Thursday. Thanks for the great service. Thank you very much - brake light arrived yesterday, amazing turnaround!! Big thanks for a prompt response. Received today replacement filler cap; spot on and operates with our existing key; a real bonus. Firstly I wanted to say a huge thank you regarding my purchase of the Burstner 748. What a fantastic service you all provide there at Southdowns, it was all such a pleasurable experience and i'm chuffed to bits with the motorhome. Thank you. My wife L and the boys love it too. Thank you for your prompt and excellent supply of the parts i needed. 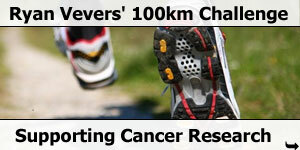 I have a lot of friends with campervans and caravans and will be passing your site on to them. I received my order very quickly. Thank you for an excellent service. Just a quick note to say thanks very much for your super quick and efficient service. I ordered the part yesterday afternoon and it arrived this morning! Fantastic service and I will not hesitate to use and recommend your service. Thank you to you and your team for the time and effort in getting this information it is well appreciated. Many thanks for the time given to us with the handover of the Concorde. It was much appreciated - as were the flowers, champagne, and booking (and taking us) to a lovely campsite. We can't praise Southdowns enough. Fantastic, the parts arrived today, all good thank you. I am very impressed with your website and the quantity and quality of your photos for this vehicle. It certainly shows your company in good light. New end cap arrived Wednesday. Thanks very much for your help and excellent service. thank you very much for your prompt attention regards my Fiamma Awning I had the part sent to me today. I'd just like to say how helpful the chap (Mike Hillary) in your shop was today 27.1.11 - 1130-12ish. He went out of his way to help me understand how to repair the elasticated rods for my Movelite awning, and I'm glad to say it worked like a dream. Just a little note to thank you for your help and being so efficient with my order and to tell you that everything arrived last Thursday. Thanks for great service , received today. the awning end cap arrived at the end of last week - very speedy delivery. I will definitely use your service again if I need any other parts and recommend you to my campervan friends. Thank you parts received yesterday, fitted today. Just a quick thank you, parts received to-day. Excellent customer service and speedy delivery. Thanks for the quick work on dispatch of my Fiamma part, which arrived this morning and has now been fitted. Wow!! What a web site. 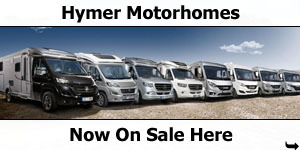 By far the best I have found for motorhomes. It obviously helps as I am looking for a Burstner Motor Home. We currently have an Elddis Autoquest 180 and I need to convince my wife we need a change, even though ours is only two years old!! I will definitely be in touch should a want a change, despite the fact you are so far away. May I pass my congratulations on to your Company! This is only due to the personal service I receive from Stephen Mead every time I place an order. We have a Motorhome. In Jersey there is nowhere on the Island where we can buy accessories for it. So we had to select a Company from many on the Internet. It was a random choice when we picked out Southdowns Motorcaravans. So you can imagine how impressed we are to find Stephen! Stephen responds to my emails which are often at out of hours and odd times of the week, within seconds, and usually I have difficulty describing the item I need, as I have no brochure or sizes appertaining to the item I am looking for. Never is there a problem he doesn't solve. He completely knows all about your stock sales, and he is friendly and obliging all the time, even if it's a Sunday morning, his voice on the telephone is upbeat and alert. Any item he sends to Jersey is well wrapped, arrives in good condition and no matter how large or small it takes no time at all before I receive it. Fantastic. I have never met this man naturally, as we live in Jersey. But the service he offers on behalf of your Company is like shopping at our friendly corner shop over here and we are a close Parish Community! In fact I was surprised to learn that he was not the Manager/Owner of Southdowns Motorcaravans! His Customer Service is exemplary. It is a pleasure to do business with him. Thank you for taking time to read my email. I expect you are very busy especially if all your staff are as obliging as Stephen. Everything was perfect. Job well done. I have been just looking at your site, which by the way is Excellent with the range of photos etc, you have put into each Motorhome, so well done !! Thanks for sending the part I ordered on Sunday. Would you believe I have received it and fitted it already. What service you give. Well done. First may I congratulate you on an excellent website particularly the gallery section, more comprehensive than anything provided by the manufacturers. Just a wee note to say thanks, all the parts have arrived and my motorhome now looks like it was never damaged, your help is greatly appreciated. Just a word of congratulations on your super-comprehensive set of photos. Exactly what we buyers need to sort the vans out from our computers, so that we can go to the next show with only a few vans on our shortlist! 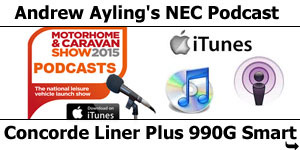 I went to the last show hoping to buy a Burstner travel Van 620g (thinking I had whittles down my short list). Nowhere in the brochure did it say it only had one garage door (which was on our 'must have' list), so a lot of time was wasted. Thank you for your sets of photos which will stop me making further mistakes! On Monday 19th July I phoned your company and spoke with Stephen Mead regarding a Fiamma awning part for my motor home. I explained what I wanted, gave him the part number, and with seconds he understood what I was after. He checked with me again to ensure he had the correct information, ordered it, took payment and as promised the part arrived today, Tuesday 20th. The reason for this email is that I live near Wigan in the North West and had spent a considerable amount of time on the phone with several stockists in the Lancashire, Cheshire and Greater Manchester area trying to locate the part. 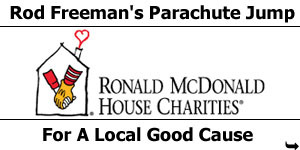 With exception of one the service and help they offered leaves a lot to be desired. Your Mr Mead is a credit to your company. Please pass on my thanks for his polite, efficient, knowledgeable service. Just to say - thanks!!! Delighted with the blocks and the shipment worked perfectly. Parcel arrived mid morning - many thanks for prompt & efficient service. I would like to say a big thank you to all of you, I ordered a part online Sunday it arrived Tuesday (today) and I fitted it and now I can use my awning again this weekend, I think you are very efficient and I will recommend to anyone. Russell thanks for replying, I am now sorted. The locks duly arrived and have been installed. Many thanks for your help and prompt attention. Just starting to do my homework on whether I want to trade in the caravan for a motorhome, and your stock list has shown me there is a motorhome that doesn't have a fixed double bed - and you can get compact without having a sliding entrance door!! 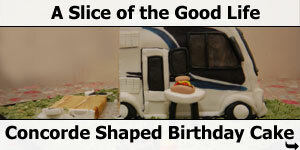 All the motorhomes have a good description, and I have learned a lot from all the photographs. Very useful to have the technical data and plans to get an idea of scale. Just a note to thank you for the excellent service you provided! To recap, I phoned you on Tuesday morning around 11am with my card details (having emailed my address) for two sets of door retainers. Imagine my surprise when they landed on my doorstep the very next morning! Feel free to use this message to get a pay rise or any other publicity. Fantastic service!!!! Many thanks for the impressively rapid response to my query! I will see how I get on with the handlebar tape! We would just like to say how delighted we are with our Tab Caravan. 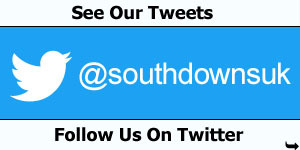 The service we have received from yourself and Southdowns has been superb. We will gladly recommend the company if anyone asks us about the Tab when we are on our travels. Can you please pass on my greatest thanks to your parts department who quickly and efficiently sourced and supplied a new part for my Burstner Aviano i725. I just wish my local dealer would be as efficient. I have just received the parts I ordered for my Burstner Elegance 660i. They are exactly what I required and I wish to thank you for your prompt and efficient service. Hi, I got the part today many thanks and a great service will use again. I would like to thank Stephen Mead for his help on locating a Switch for my Truma water heater, it is now fitted and I have hot water. Many thanks for the door retainers you sent for our Laika motorhome. May I congratulate you on your quick and efficient service which is in stark contrast to the service I received from (elsewhere), who I had initially contacted as they are our nearest Laika dealers. It seems they are only interested if you want to buy a new vehicle from them or if you bought your current van from them. Needless to say I will recommend your firm to any other Laika owners I meet. Thanks for seeing that the towbar and other work went smoothly. I am pleased with how the the towbar fits etc. It lives up to your description and looks very neat. Despite my initial worries over the Credo you been reassuring all along and I am most grateful for that. In fact all of the people I have met at Southdowns have been very good. Hope you and your family enjoy Christmas. Thank you very much! Postie has just delivered it! You guys do a great service! Thank you for all your help yesterday. You made the day run very smoothly and all your staff were extremely helpful..
Absolute 1000000000000000000000000% Customer Satisfaction - if only there were more people out there like this. Send this onto your boss as you should have his job. Cheers - have a great Christmas Julie and your family. This morning when I emptied the mailbox it was a letter with four inside covers for our awning, I was very happy! Thanks for the great service and fast delivery! We can certainly recommend you to other mobile home owners! I know that Bryn is writing a personal thank you to you and all your staff but I just wanted to add my thanks. The �wagon� was simply amazing and everyone was so incredibly helpful, kind and so very generous it was extremely humbling. Quentin was just incredible, patient and always on hand, what a guy! I simply can't thank you and everyone at Southdowns Motor Centre for your amazing support to Help For Heroes. I promise not to contact you again for a while at least!!! Just to thank you for the good service you gave us today; we feel our trust will not be misplaced this time! The van drove brilliantly on the way home and we are both delighted. The flowers were a nice touch. Sir (Mike), you are a gent, and you know your stuff, bits ordered arrived today, just 19 hours after ordering, and you hit the nail on the head. fits a treat!! Thank you most sincerely, ill be back for more for sure. Many thanks again for your prompt response, invaluable help and great service and you can print it if you wish. Just wanted to say thanks (and to your staff) for no doubt making an effort to get my motorhome ready. You could probably tell I was slightly stressed, worrying as I know little about motorhomes and whether you could make it happen in time. Its a great experience, don't know how I lasted without one! Looking forward to a holiday in it! We are very pleased with our new Rexosline motor home. We went away for a few days and it was great. There were a couple of things we could not understand but your helpful team at Southdowns soon put us right. J is very pleased with everything especially the Toilet. We have struggled with the bed it is much heavier but lovely to sleep in so much more space. Thank you very much for finding the Van and enabling us to have it we would never have afforded all the Extras. Thanks also to all your Staff who have been so helpful and patient especially Ben and you. Reference electrical fault on Delfin 680. (Jersey CI) I think the problem has now been sorted. It was just to thank you for your prompt return of my phone call which is so rare these days. Your company has helped me on a few occasions before of which the service is exceptional. Thank you so much for the kind and efficient help you gave us last Saturday when we collected ' Bertie ' , our TAB 400L , and the flowers were a lovely surprise . We felt very comfortable for our first night and enjoyed seeing people's reactions as we drove along too ! We are looking forward to getting to know it more this weekend . With best wishes from 2 happy TAB owners , Sue and Mike M.
This morning after receiving a reply to my email I visited the shop to get some items, I would like to comment that Mike, The Store Person was excellent and helped me so much. I have visited many outlets in Southampton and I can assure you they could do with having ten minutes with him. Cheerful and knowledgeable and most of all time for the customer. Have now been living continuously in the Cruiser for nearly one month. The MAN is behaving perfectly - going like a dream. Our drive across Europe into Turkey was 4,100 kms, through some of the most treacherous weather imaginable, plus of course 3,400 metre mountains and blizzards and ice & snow with visibility down to 1 metre at times. The MAN was perfect for such conditions. Have now done 8,400kms in the first month. Living in the Concorde is wonderful. It was speced exactly right for us. We would not change anything. Just to let you know that the Isabella T@B awning bag and box have just been delivered ! Thanks V much, I'm well impressed. Hello . . . . . I ordered an end stop for my Fiamma yesterday afternoon, it arrived this morning, !!!! Thank you so much for such speedy service, and the gentleman (Stephen) was very helpful. Dear Andy, Many thanks for your patience and knowledge earlier today when helping me on the phone with a problem on my Laika Ecovip double step. I finally found the elusive problem, in no small part to your excellent directions around the van... seemingly from memory. The van is due to be hired for a week as of tomorrow, so I stood to lose �400 with a cancellation, all for a 38p fuse but, I'd never have found that fuse without your help. A credit to yourself and your company, well done. 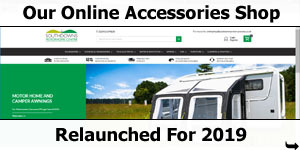 Hi There, I just wanted to acknowledge the wonderful level of service I have just received from your company, I needed some Fiamma parts for my 1997 VW camper van and was going around in circles on there website, during my frustration I came across your website and called. I was greeted by Stephen who took the reigns and within a couple of days the parts were on my van. I have since called Stephen to thank him. I wish I had received this level of service from where I purchased my van. Thank you once again for your positive reply, how else could we or anyone ever goes elsewhere. We love our new motorhome and had such great fun in our first visit this week to Longleat, in fact we would argue that we had more fun this week that all the tens of thousands we have spent in 5 star hotels over the world for many years. I said to my wife that people are so friendly, respectful and considerate and I so wish I had done this 20 years ago. Thank you very much for the service you gave and especially for the flowers. We're in Almerimar, wild camping with the Germans - they all keep looking at our motorhome - probably because we've got the best one here (not that I'm biased or anything) and we are so pleased with it so thanks again for everything. Andy phoned us with info and we have managed to repair fault without use of circuit board. I will sent it back to you. Thanks for all your help, will you also thank Andy very much for his info and help. You are smashing !! thanks for all your help. I have contacted the relevant authorities in France, and it looks like I have to obtain a certificate of conformity from the chassis ie Ford, but its a lot more complicated, i'm beginning to wish I hadn't bought it. I'll take it from there and see what happens.